Unfortunately, foreclosure is a frightening reality. It can be much more stressful and frustrating when you don’t understand the process or recognize that you do have legal rights if you are facing foreclosure in Arizona. You have rights. You can regain control. 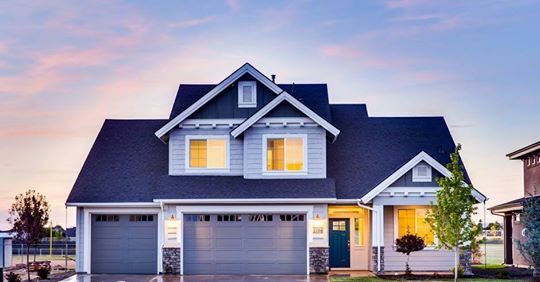 If you believe the foreclosure is in error or you feel you can get caught up on your loan with some time, the MacQueen & Gottlieb team has the experience with Arizona foreclosure law to help guide you through the process. If you are facing foreclosure or even worried that you may fall behind on your mortgage payments, it is a good idea to understand the basics of Arizona foreclosure law. The Arizona Attorney General has an informative, free guide to educate homeowners on the foreclosure process. Getting a grasp on the process and your legal rights will make it a lot easier to stay rational as you pursue a reasonable outcome. A mortgage on real estate is a loan where you have put the property up as collateral. This means you agree to make regular payments and the lender has a lien on the property until the loan has been paid in full. Foreclosure is the process the lender uses if the borrower fails to make timely payments on the mortgage. Statutory notice requirements govern this process in Arizona and allow the borrower to contest the sale of the property in the case of any errors, as well as reinstate or satisfy the loan. These rules can be confusing. The team at MacQueen & Gottlieb can help you navigate these sometimes overwhelming laws. Most mortgage lenders in Arizona pursue foreclosures through the non-judicial process called a trustee’s sale. The deed of trust is executed at the time of the sale and allows the lender to proceed with a trustee’s sale without going to court when a borrower defaults on payments. The lender is still required to provide written default notice to the borrower, so the borrower has the opportunity to cure the default by paying any back payments plus reasonable expenses incurred by the lender. Lenders do have the option to pursue judicial foreclosure in Arizona, even though they are not required to do so, as they are in other states. In these cases, the state court system would be used by the attorney representing the lender to file the summons, complaint against the borrower, and lis pendens (notice of pending lawsuit). If a mortgage lender is pursuing a judicial foreclosure in Arizona, they may be seeking to receive additional compensation for any losses on the original note. It is especially important to find an attorney to represent your legal interests in these cases. We can help. If you have received notice of a default on your mortgage or have a pending foreclosure, the property will be sold at auction if you do not take immediate steps to resolve the matter with your lender. Our firm can help you consider all your legal options and pursue an agreement or settlement with the lender that avoids any additional lawsuits or recovery efforts. There may even be options to renegotiate some terms of your loan so you can stay in your home or pursue adequate foreclosure defense. Contact MacQueen & Gottlieb today to schedule a consultation or make an appointment online.